Being a mom, wife, daughter, and being able to work eight hours (or more!) a day, maintain a household and still find time to do something you are passionate about is not easy. As a first time mom, I am still adjusting to my new role. Juggling it with all my other roles require discipline, commitment and A LOT of love! The key, according to Stephen Covey, is not to prioritize what's on your schedule, but to schedule your priorities. Super Mom is a Cruisin' Mommyhood's blog feature where I interview moms who can give inspiration and empowerment to working moms (either from home or office) like me. We are living in a 2-bedroom house so co-sleeping was an obvious choice for us when Julia was born. To make our room a safe environment for Julia, Don and I redesigned it a bit, we rearranged some furniture and purchased a few items. Though we prepared so much, I was still not able to sleep well the first night we brought her home from the hospital. I remember checking on Julia every 10 minutes to make sure she is still breathing while sleeping! It is natural for moms to prioritize the safety of their children. Like most of you, the internet was my best pal in looking for products that can help protect my daughter from SIDS. I also relied on the recommendations of friends and mommy bloggers I know. I commend moms who continuously look for innovative products that can help protect our children. Moreover, I admire moms who spread their advocacy on safety and bring in products to the Philippines that can help keep our children safe. I was so disappointed I was not able to attend Halo Philippines’ Mom & Me last year. I hope to meet Ives soon, hopefully this year. Read on and be inspired! 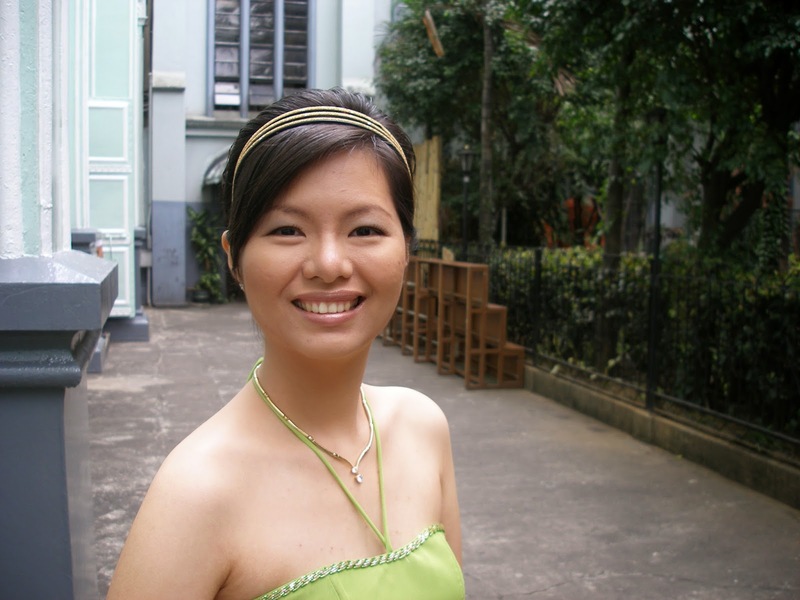 If you categorize my typical day’s activities, most of them would fall under work and family. Upon waking up, I check my emails while my body boots up. As soon as I get out of the room I would go play with my boys. Then I’d check on the rest of the household and settle down for work. I try to prioritize being with my kids especially since they are still young. My two sons are each at a different developmental stage, so I carve out quality time with each one every day. I actually get to focus on work only while they have their afternoon naps, but that’s a trade I am happy to make. Evenings are dedicated to my husband. We would cap off the day by watching a movie, or just talking about the day’s events and enjoying each other’s company. I read “A Love Affair with Halo” from Halo Philippines website. Your commitment to safe sleep advocacy is so inspiring! What is the most important lesson you learned as a mompreneur? Thanks! I work to serve God, my family, and help others. But in truth, my work and advocacy has blessed me more. So perhaps one of the most important lessons I have learned is to have a genuine passion to help others. Word will spread and the numbers will follow. HALO is a business with a heart. Every thing we do revolves around a heartfelt mission to keep babies sleeping safely. That is why we take great care to ensure our products are the safest they can be. Our products are validated by 3rd party certifications, and tested against standards that even exceed US federal regulations. We refuse to scrimp when it comes to the quality and safety of our products, even if it means paying a premium on manufacturing. Because for us, there is NO COMPROMISE when it comes to a baby’s safety. All this has made HALO the #1 trusted brand by moms, and the ONLY brand used in over 1,000 US Hospitals. We are the only brand that carries the seals of leading SIDS and safety organizations, and approved by the medical community – important factors to consider when choosing a safety product for your baby. You wear a lot of hats and you juggle different roles. How do you manage your time and priorities? By choice, I prefer to work from home so that I can be close to my kids. This arrangement also allows me to manage the household more efficiently. Being a work-at-home "mom” means that I can be there for my boys any time they need me. On the flip side, being a work-at-home "business woman" means that I am open to more distractions, so I couldn't get work done as efficiently as I would have wanted. I have learned to adapt by multitasking (ex. I have developed the "talent" for answering clients' texts while brisk walking on the treadmill). I am also more purposeful with my time. I deliberately set aside time for work (usually while the kids are napping), and time for family. Lastly, I train my team of household staff so that I can delegate as much of the house work and be able to prioritize things that I can do best. Who/what is your “energizer”? Who/what inspires/motivates you? My love as a mother started this business, and sustains it. With motherhood came a fierce sense of protection, an instinct. I vowed to give only the best and safest for my baby. 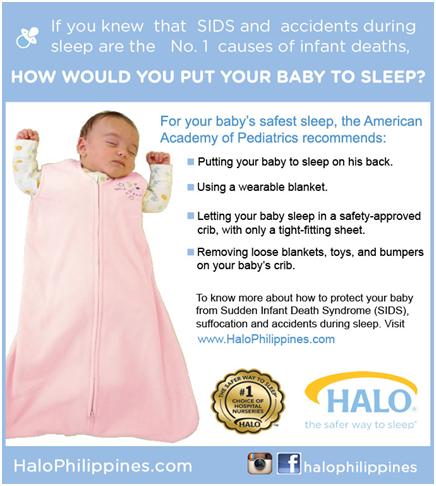 This led me to discover HALO, and become a safe sleep advocate so other moms can also give their babies the protection they deserve. I am further energized by clients who become advocates in their own way. Some would buy more products as gifts, others would even volunteer to become resellers. In a recent event, a couple (repeat clients) came to purchase more Halo SleepSacks. Our booth was so busy that we could not attend to them and new clients who came at the same time. Then I overheard this couple passionately telling the other shoppers – complete strangers – how Halo SleepSacks have helped their baby sleep better, and why it’s one the best investments they have made. 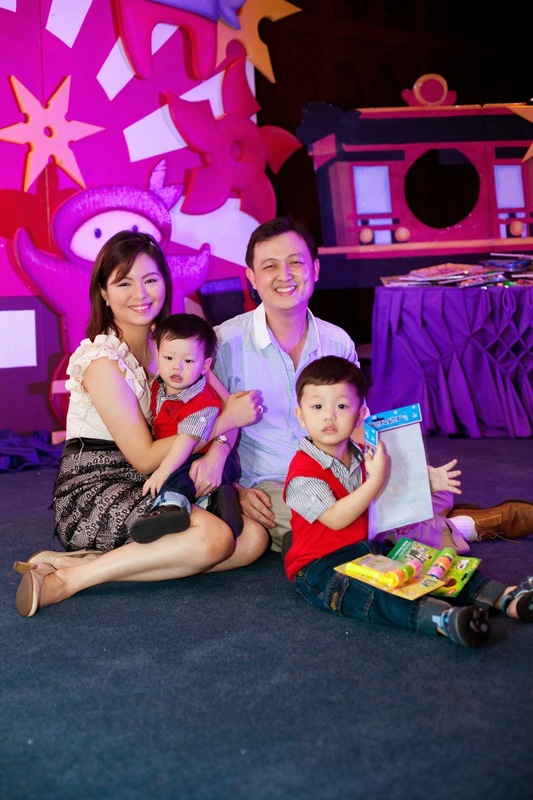 Their sincere and glowing testimonial convinced the other parents. I did not even have to say more, they were already sold! Lastly, I am inspired by people I’ve met who care enough to help spread the word about safe sleep. In most first world countries, it is the government that pushes for safe sleep education. There are even laws in the US that mandate hospitals to orient new parents about safe sleep practices before discharge. Unfortunately, such is not the case in our country, so parents may not appreciate that safe sleep could mean life or death for a baby. It is heartbreaking to hear stories of Filipino babies who died or almost died because of unsafe sleep (and I have heard too much of these stories not to act on it!). 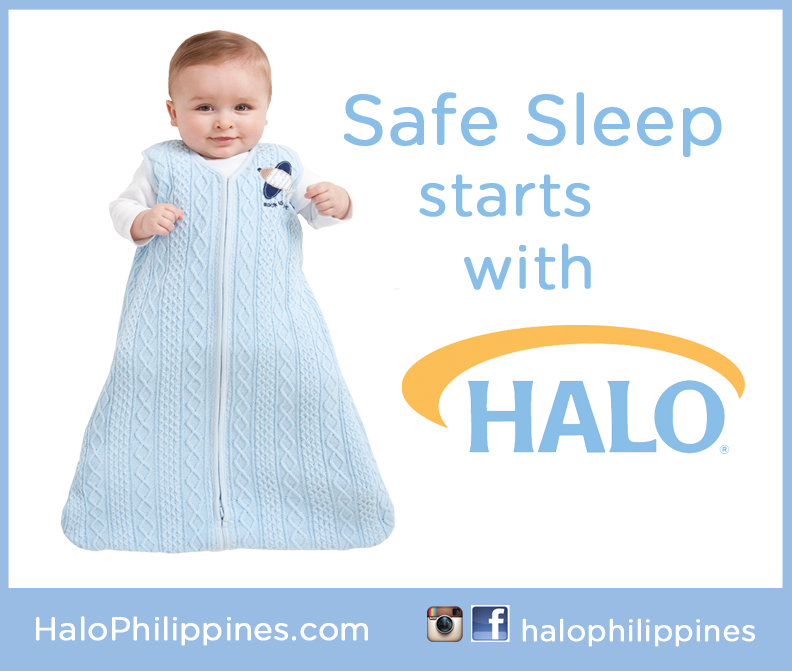 I hope that with the support of fellow safe sleep advocates, we can help Filipino babies sleep safer. Top 3 tips you can share to moms on spending quality time with family. Always do things with a purpose in mind. If an activity is not aligned with your key goals in life, then reassess if it is really worth your while. Prioritize. I purposely delegate things like changing nappies, feeding my babies, etc… to our household staff because I know I can’t do it all as a working mom. I pick my battles so I can have more time and energy to do things that I know I can do best. Learn how to shift priorities so you can find fulfillment in work, and still let your family feel that they are equally important (if not more) than the other aspects of your life. Visit Halo Philippines’ FacebookPage and follow them on Instagram!